Marvel‘s Luke Cage season 2 is going to release on Netflix. Get ready to feel the thunder again. 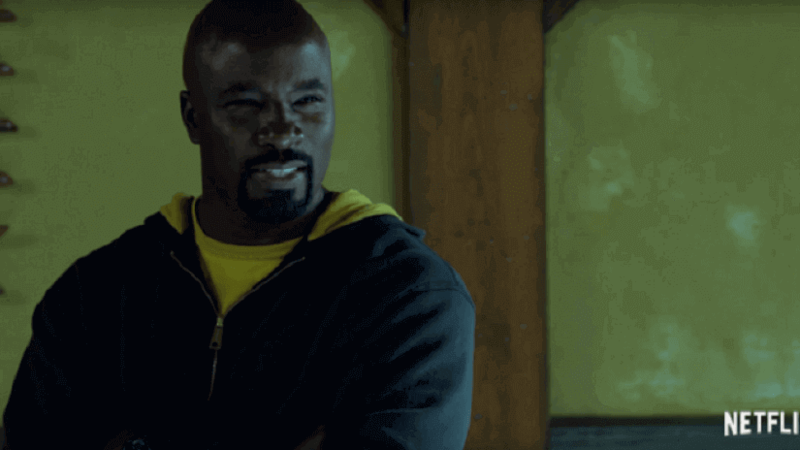 Mike Colter, the star of Luke Cage has recently announced the second season of the series. In an Interview with the MCU Exchange, Colter told that they will start filming from next month and hopefully it will release in early next year. But he didn’t tell the exact date in early next year. Luke Cage’s public identity will be explored in the upcoming installment. The shooting will start in June this year until March 2018. The Cast of the Show is yet to be confirmed. The cast of the previous season is also not sure about their presence in the upcoming installment. Hence, we can see them escaping from such questions in many interviews. In another news, it is confirmed that Theo Rossi will back in his previous role of Shades. Rossi told to Parade that he is very much excited to get back on the Netflix show. On asking about his character in the second season, he confessed that shades had a very god fortune in segment 1, but they are assuming that in season2 also we will find him and Alfre Woodard on the wrong side of the hero. Apart from Rossi, Simmon Missick has also returned to the show in her famous character of Misty Knight. She gave this good news to fan on Twitter with a gym selfie. It remained unclear how the romance between Cage and Claire Temple (Rosario Dawson) will proceed. Earlier Showrunner of the show, Cheo Hodari, has unleashed his vision for the second season which looks promising. While speaking to Decider, he told that installment one of the LukeCage was about the evolution of a hero and hence, they didn’t go for Heroes to Hire in the first Season. Luke is a normal guy not so smart but also not too dull. He does not pretend himself but he thinks that he has the responsibility to push forward. According to him, he has some wonderful ideas for installment two and being fans of the show we are eagerly waiting for those ideas to get shaped in season 2. But they are waiting for the green signal from the Netflix to start a show. It will be interesting to see that how the second segment will get affected due to the fallout from The Defenders and Jessica Jones. The villain will be a familiar face. After strong viewership and positive reaction from critiques, season 2 of Luke Cage is finally releasing at Netflix. As we know, this show was a grand hit at Netflix on its opening weekend. Netflix has released a brief video confirming the renewal of the show. The release date is not yet known and not official. But, Mike Colter’s LukeCage will be seen in The Defenders on 18th August 2017. We aren’t expecting LukeCage s2 until later in 2018. Stay Tuned to TheReporterTimes for more updates on your favorite tv shows.